Improve your short-term memory with our brain game Multi Memory. Brain training with Multi Memory increases the ability to memorise more information at the same time. With this brain game, you train the ability to store, process information and solve problems. The visual cortex plays an important role in this process. You use these processes in daily life every time you try to remember lists, like when you ask who wants to drink what when friends come over. 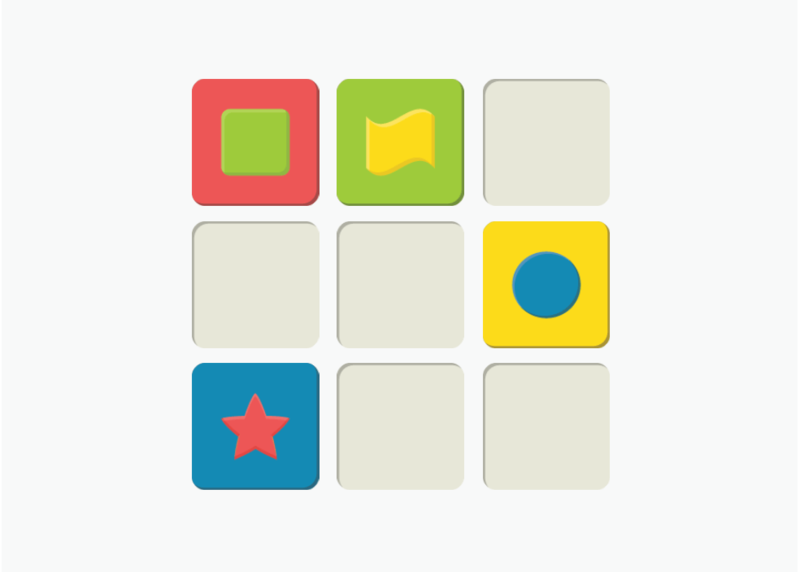 In the game Multimemory you must remember the position, shape, color and tile color of each tile.